It is a startling statistic which beggars belief, but the truth is there are more tigers living in captivity in the US than survive in the wild in their natural habitat in Asia — several sub-species are already extinct, and those that remain cling on in their last bastions. They have some prominent champions — including the Russian President and the governments of Cambodia and Kazakhstan — and there are some positive signs with India reporting an increase in numbers. There is no room for complacency. Far from it. The tiger’s closest and most famous cousin, the African lion, is the subject of sad news, setting alarm bells ringing. Lion numbers are reported to have fallen by 40 per cent in just two decades, with the lion now only occupying 17 per cent of its historic range — and the “King of the Beasts” faces the prospect of being dethroned. And even if some tiger populations are recovering, they are a long way from the levels seen at the start of the 20th century — before uncontrolled hunting took its toll. Hunting may well be banned and international trade regulated to the point of prohibition, but this does not mean that poaching does not occur. Tiger skins and other body parts command phenomenal prices on the black market, and even the modest share of the booty offered to those at the sharp end presents a temptation too great to resist for people scraping a living in harsh, unforgiving environments providing limited options for making a livelihood. Reduced tiger populations in Asia is also bad news for lions, as its body parts are seen as a possible substitute. The problems afflicting the lion and the tiger also affect their smaller cousins, such as the snow leopard and the Asiatic cheetah, both of which are suffering from reduced habitat and depletion of their prey species. The snow leopard, known locally as the “Ghost of the Mountains”, occupies a vast and inhospitable terrain at high altitudes in the mountains of Central Asia and probably numbers fewer than 10,000. The terrain makes survey work difficult, and so the figures are the best estimate experts can give. Even in the mountains, the snow leopards are not safe from their main enemy — people — and the effects of climate change and growing human demand for space are making encounters — and conflict — more common. Warming temperatures are opening more and more areas to pastoralism; so as well as being hunted for the pelts and body parts for traditional medicine, snow leopards are even more exposed to persecution by farmers seeking to protect their livestock. Wildlife tourism is not a viable option in Central Asia — the area is inaccessible and lacks the infrastructure which all but the hardiest of travellers want. There is also no guarantee that visitors will even catch a glimpse of the elusive creatures. It is not only agriculture that is encroaching on unspoilt leopard territory; there are also plans to develop ski resorts in the mountains, with the implicit threat of bringing more people and more disturbance. Any such developments need to be planned sensitively to ensure minimal impact and maximum sustainability. There are two contrasting elements essential for the success of conservation efforts undertaken on behalf of the snow leopard. The first is recognition of the fact that because they cross national borders, the Range States that host them have to cooperate. Fortunately, governments are fully aware of this and the President of Kyrgyzstan has initiated high-level meetings which have resulted in the establishment of the Global Snow Leopard and Ecosystem Protection Programme (GSLEP). The second element is bringing local communities and livestock owners on board. As tourism is unlikely to make much significant impact in terms of new employment opportunities, conservation programmes must include measures to reduce the negative impact of the cats’ presence; examples of this being the provision of predator-proof corrals for livestock and setting up insurance schemes to compensate farmers for any animals lost to the leopards. 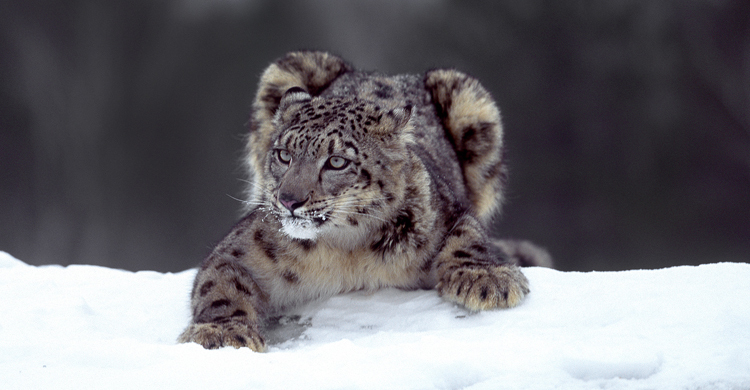 Despite their apparent sparseness and harsh terrain, the mountains support a surprisingly large range of plants and animal species, and the snow leopard serves as an indicator of the ecosystem’s health; so if they are thriving, chances are that the wider environment too is in good shape. The UN Convention on the Conservation of Migratory Species (CMS) is lending its support to World Wildlife Day and I commend our colleagues at the Convention on International Trade in Endangered Species of Fauna and Flora (CITES), who take the lead in organising the campaign each year. Focussing on big cats this year helps raise awareness of their precarious conservation status and complements the efforts of Range State governments such as Kyrgyzstan by emphasising the need for international cooperation to address the threats and ensure that lions, tigers, snow Leopards and the rest can survive in the wild. Dr Bradnee Chambers is the Executive Secretary of the UN Convention on the Conservation of Migratory Species of Wild Animals. This Op-Ed is also available in Russian on the UN News site.